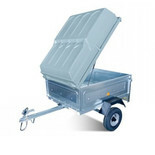 125 x 97 x 41cm (LxWxH) External box size. 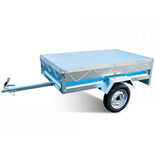 Provides a secure environment for your load with locking latches fitted as standard. 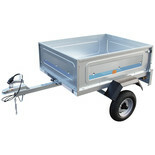 Integral gas strut keeps lid open during loading and makes opening and closing easier. 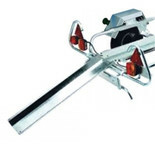 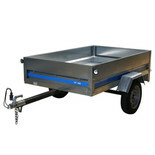 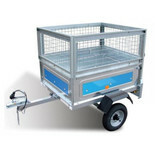 Heavy duty galvanised steel mesh side extension kit more than doubles the trailer's load space. 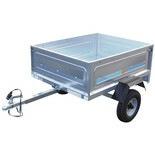 Constructed of galvanised pressed steel with two locating lugs to hold it in position whilst loading and unloading. 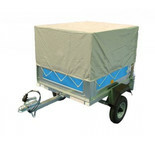 Made from durable reinforced pvc material this cover protects your trailer contents from all weather conditions. 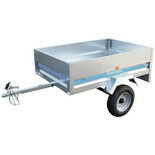 Durable reinforced PVC cover protects trailer contents from the weather. 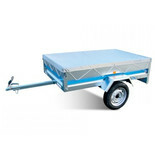 Protects trailer contents from all weather conditions. 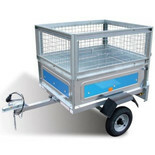 This cover provides a secure environment for your load with locking latches fitted as standard, fitted with integral gas strut keeps lid open during loading and makes opening and closing easier.